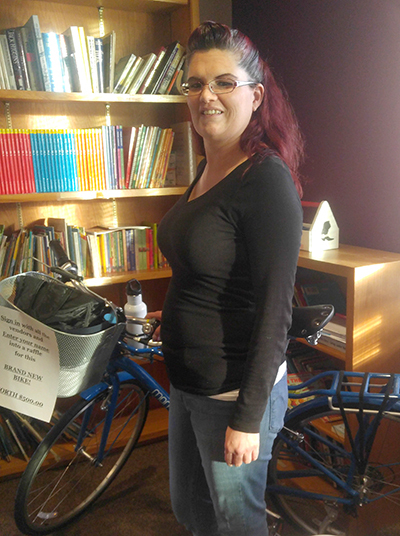 Sabrina was the lucky bike winner! 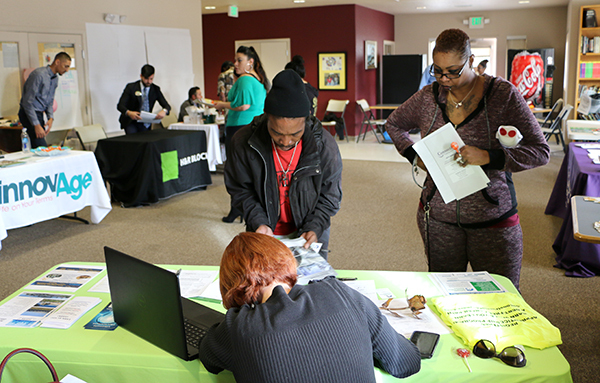 Last month, more than 20 residents gathered in Holly Park’s community room to take advantage of the opportunities offered during a resource fair. Holly Park in Commerce City, Colorado, is home to more than 160 families with low incomes who are working toward a better life for themselves. During the fair, community partners offered services such as tax assistance, job placement, and planning for the future. Representatives from Innovage, a company dedicated to helping people age in dignity, talked to residents about aging in place and other options for seniors. The residents also got an opportunity to win a brand new bike that was donated from a local bicycle shop. Attendees of the fair had to get a stamp from each booth to be entered to win – Sabrina was the lucky winner! Residents are looking forward upcoming resource fairs!